There is no doubt that mechanization has made our lives easier, and our tasks more efficient. The idea of a machine with a human-level cognition has always been fascinating, making it a beloved theme for most science-fictions. Today, that machine is no longer just a fictional object. Instead, it is crawling into and digging its claws, slowly but steadily, deep in the realms of the human society. Aptly named as Artificial Intelligence, it is expected to think, mimic, and perform like, may be even better than, humans. From smart assistants and chatbots to basic email filters and customized reply options, AI is becoming an indispensable part of our everyday lives. With every industry vertical being affected by the power of Artificial Intelligence and Machine Learning, it has become crucial for the IT sector to keep up with the trends and deliver on demand. In this age of digital revolution, testing becomes all the more important. 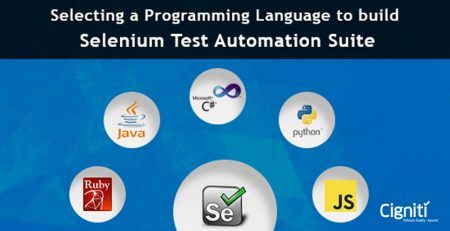 To meet with the rising demands and blistering pace in the modern Agile and DevOps organizations, automation of testing has become critical to ensure efficiency, and quality at speed. Automated testing has certainly improved test coverage, enhanced test quality, and reduced the amount of manual labor required. However, it is still not possible to achieve 100% automation, as it needs extensive maintenance, which in turn requires human intervention. In such a scenario, amalgamation of test automation and Artificial Intelligence can do wonders for any organization. AI, along with machine learning, is expected to be the driving force of the future of automation testing. 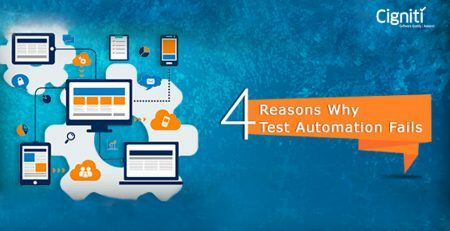 This blog talks about 5 ways in which Artificial Intelligence will steal the thunder as testing becomes automated. Test Automation has anyway significantly decreased the extent of human assistance. AI will further reduce it by limiting manual activities to those tasks that are non-feasible for a machine to do. Conducting exploratory tests, supervising and analyzing the machine-identified anomalies, and validating and rectifying the decisions taken will be the main tasks that will have to be hand-operated. AI, on the other hand, will be responsible for those activities which are too arduous and time-consuming if performed manually, such as, browsing through thousands of lines of codes for detecting anomalies and bugs, identifying redundant test cases, deciding which test cases to run automatically, achieving test coverage by extracting keywords from Requirements Traceability Matrix (RTM), and prioritizing regression test cases based on the high-risk areas of the application. Unlike the industrial revolution when machine completely took over and resulted in unemployment of thousands of manual labors, the AI revolution will require the man and machine to work in a tandem for obtaining the best results. This symbiosis between AI and humans is called Intelligence augmentation, which will allow testing to match the pace of development and facilitate timely release of quality software. With the rise in the demand of Continuous Delivery, it is imperative for organizations to adopt Continuous Testing practices, which can be feasible only through automation. As part of this process, there are various Unit tests, API tests, and UI tests that need to be run on a regular basis. In automated testing, test scripts are run automatically. However, maintaining those scripts had to be done manually, which again required tremendous time and effort. This is where AI and ML become highly critical. Using machine learning algorithms, cross co-relations can be established from all the gathered data. Based on that, AI understands what normal behavior is and what is not. AI is equipped with Dynamic Locators, that recognize even a slightest change in the tiniest element and make changes in the test scripts accordingly. This prevents test failures, guarantees stability of tests, while updating and maintaining test scripts without any human interference. AI can evolve and improve itself on a regular basis through machine learning. This is like having a photographic-memory. It sees something and then never forgets. It uses those observations to understand what is going on, what might happen next, and what it should do to mitigate any potential risks or to support any upcoming actions. Through a self-healing mechanism, AI can proactively detect and fix threats before their occurrence. As an ongoing process, AI keeps collecting data and feeding it to the ML algorithms. Doing so helps it distinguish between the normal and abnormal behavior of the application, thus, triggering the self-healing practice as and when needed. If a test is dependent on responses or implementation of certain modules, automation becomes a hassle. In the past, mock responses needed to be created for running a test successfully. Now, AI is self-sufficient in doing that. After a first few manually authored tests, AI can pick up and record the responses received from a server. These recorded responses are then used for any subsequent test runs, thus, eradicating the dependency on the presence of a physical server or module. This, in turn, allows tests to run without any obstacles or delays and produces high test efficiency. With AI and ML, data analytics will spearhead quality management. As observational learning will take place, an aggregate of user actions will be recorded and formed in flows that will produce efficacious tests. Additionally, analysis using ML will enable organizations to achieve test coverage as well as code coverage, ultimately resulting in the achievement of testing excellence. By comparing the gathered data and images, it can provide quick, actionable feedback, so that there are no errors and bugs left unattended. Industry 4.0 will see Artificial Intelligence integrated in its very core. Despite all the advancements, it is not possible to automate everything. Human intervention will be required, but only at the final decision-making level. As per a Forrester report, in order to leverage automated testing, it is critical to first invest in the human testers. The wealth of knowledge created by Machine Learning and implemented by Artificial Intelligence will equip organizations across the world to take the best possible course of action. By making an informed decision, they can produce an application that will yield value to the end user and generate high customer satisfaction. 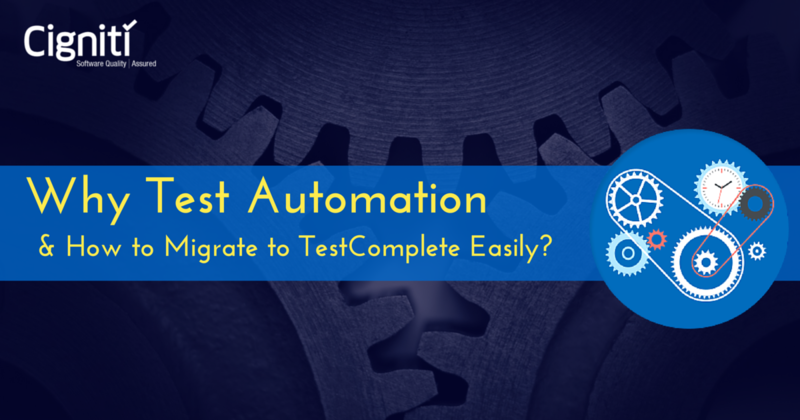 Why Test Automation and How to Migrate to TestComplete Easily?